MRSA diagnostics – The optimal solution for your need! Even small labs without experience in molecular diagnostics can easily establish a PCR-based screening with our MRSA product series. We assist you with the implementation as well as with the training of your laboratory staff. With FluoroType® MRSA we offer you a particularly user-friendly and efficient solution: MRSA is detected via the SCCmec cassette and the resistance-mediating genes mecA and mecC directly from patient specimens and thus enables a reliable result within only 2.5 hours.directly from patient specimens and thus enables a reliable result within only 2.5 hours. There is no need for cost-intensive technical equipment. From amplification to detection all steps run fully automated in the FluoroCycler®. This makes MRSA screening a routine also in your lab! Besides a MRSA screening, we have developed test systems for a comprehensive staphylococci differentiation from culture samples: The basic test, GenoType MRSA, enables the detection of S. aureus and S. epidermidis. GenoType Staphylococcus detects S. aureus and 6 further clinically relevant staphylococci fast and reliable: S. epidermidis, S. haemolyticus, S. hominis, S. warneri, S. simulans and S. lugdunensis. Besides the resistance mediating gene mecA GenoType MRSA also enables the detection of mecC. Both test systems additionally detect a PVL-specific fragment for the fast and reliable differentiation of nosocomial MRSA and community-acquired (CA-) MRSA. This provides comprehensive information for an adequate therapy choice in only 4 hours! Whether MRSA screening or species differentiation – our test systems are applicable for small as well as for large sample batches. By the flexible use of several FluoroCycler® units, with the FluoroType® MRSA up to 96samples can be analysed either sample by sample or in a complete run. The test systems of the GenoType series are as well optimally integrable into your daily lab routine: The GT-Blot 48 enables the fully automated hybridisation of up to 48 samples, analysis and result interpretation is performed by the user-friendly GenoScan®. 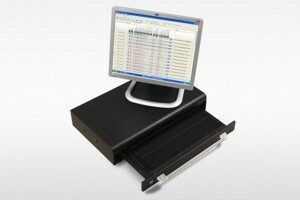 This makes your MRSA diagnostics even with high sample batches fast and efficient! You look for a cost efficient yet top quality solution with efficient sample processing and excellent service? From DNA extraction to exporting results to your LIMS, we offer you all necessary components in high quality, with high comfort and maximum flexibility. Besides an intensive practical training with our products and equipment, you can also get the service and maintenance by our well-trained personnel. 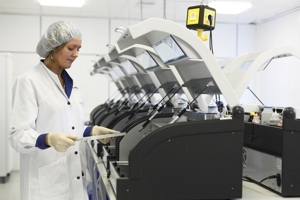 We will help you to make your MRSA diagnostics even more cost efficient, faster and beneficial! The FluoroCycler® is an optical thermal cycler for the fast and reliable MRSA screening with FluoroType® MRSA. Operation and evaluation is done by the user-friendly Fluoro-Software. 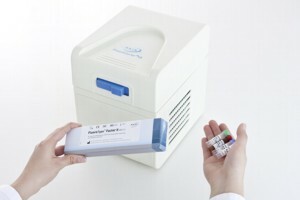 Together with the computer the FluoroType® system is originating, that offers you highest flexibility: Up to eight different FluoroCycler® units can be connected to one computer and individually accessed. Dependent on the sample income up to 96 samples in only 2.5 hours can be flexibly analyzed. The result interpretation can be easily connected into your Laboratory Information Management System (LIMS). 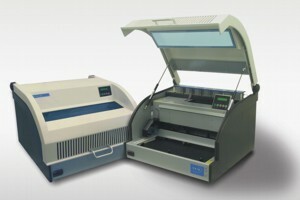 For an easy and efficient staphylococci differentiation with our GenoType product series we offer you –depending on your need and your sample batches– the adequate technical equipment as well as several automation options: The amplification of up to 24 or 96 samples are performed by the GTQ-Cycler 24 or GTQ-Cycler 96, respectively. Afterwards you have the choice between a manual hybridisation of up to 12 samples with the TwinCubator and a fully automated hybridisation of up to 48 samples with the GT-Blot 48. For an automated analysis and result interpretation the GenoScan® is available. According to your requirements you can combine several instruments and make your own decision on your personal level of automation! For a maximal efficiency of your laboratory diagnostics, the test systems can be combined with a wide spectrum of further CE-IVD certified tests. Top service and an excellent training is our standard. The implementation of our MRSA product series is easy, cost efficient and is assisted by our well-trained personnel. MRSA diagnostics of Hain Lifescience – The optimal solution for your need! 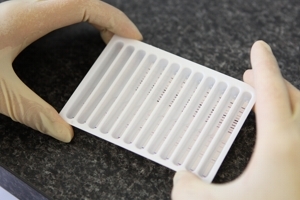 FluoroType® MRSA Fast detection of MRSA from patient samples in 2.5 hours. GenoType MRSA Detection of S. aureus and S. epidermidis, mecA and mecC genes and a PVL specific fragments from culture samples. GenoType Staphylococcus Detection of S. aureus and 6 further clinically relevant staphylococci (S. epidermidis, S. haemolyticus, S. hominis, S. warneri, S. simulans, S. lugdunensis), the mecA gene and a PVL specific fragments from culture samples.